Is Project Sashakt the answer to government's bad loan problem? The government's problem with Non-Performing Assets (NPAs) of public sector banks shows no signs of going away. Project Sashakt, proposed by the panel led by PNB chairman Sunil Mehta, and announced by acting finance minister Piyush Goyal is essentially an admission that the NPA problem has no simple solution and it is unlikely to go away in a hurry. The true extent of the NPA problem only started becoming clear once then RBI governor Raghuram Rajan initiated the Asset Quality Review (AQR) in 2015, which forced banks to own up to bad loans that they were hiding under the carpet till then, through the time honoured tactics of ever greening of loans. Rajan followed the AQR with other measures, and his successor Urjit Patel continued piling on the pressure until the public sector (and even private sector) banks had to recognize all their bad loans and make provisions for them. Any discrepancy between the bank's own estimate of bad loans and the RBI's view also needs to be reported now. This was when the government decided to take direct steps to fix the NPA problem by rolling out the Insolvency and Bankruptcy Act (IBC). Till then, it was the RBI that had tried to give banks enough ammunition through measures such as corporate debt restructuring (CDR), SDR (strategic debt restructuring) and S4A (scheme for sustainable structuring of stressed assets). All these worked on the principle that bankers could use their discretion within certain limits, and under the RBI guidance, to either restructure the loans to give borrowers more time to fix their businesses and pay up, or take over the ownership of the business (by converting some of the loans into equity) and then wait until the business turned around and they could get their money back. The IBC essentially advocated a more direct path of handling bad loans. It allowed lenders to take defaulting borrowers to the National Companies Law Tribunal (NCLT) and trigger off bankruptcy proceedings against them. The companies and assets would be put up for sale. 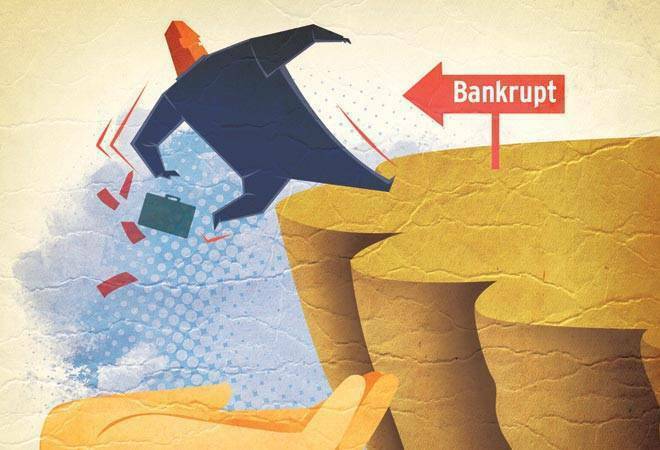 If they found a buyer, lenders could decide whether to take up the offer (which invariably involved steep haircuts since no potential bidder wanted to take on the full debt) or liquidate the company. All this would be done within a fixed time frame of 180 days (which could in case the resolution was not complete, be taken up to 270 days) and therefore would be a far more cut and dried and time-bound process than the earlier RBI schemes. The 12 biggest defaulting borrowers were put up for bankruptcy proceedings - and the various RBI schemes for stressed assets were withdrawn. Numerous small and medium reporters were also taken to the NCLT under IBC. There was great hope that the IBC would be the solution that had eluded successive governments and the banking regulator for the bad loans problem. However, the acting finance minister is probably worried that the IBC solution has not proven to be as quick and effective as the government had hoped. Of the 12 big cases, two have found buyers while others have got embroiled in some issue or other. Several of them have crossed the 270 day limit. Litigation has also started with losing bidders appealing to the appellate authority or even to the Supreme Court to press their claims. So it is taking time. Meanwhile, the hundreds of smaller cases that were referred under the IBC have found few buyers. Most had to be liquidated, and in some cases, banks had to write off almost everything they had lent. The numbers of NPAs cropping up each year also show no signs of slowing down. Each year, public sector banks promise that they have recognized all the bad loans - but each successive year, more bad loans come out of the woodwork. The Modi government is not the first to find that the NPA problem has no simple solutions. Its predecessors had enacted the SARFAESI ACT (Securitisation and Reconstruction of Financial Assets and Enforcement of Securities Interest Act 2002) and also constituted the Asset Reconstruction Companies (ARCs) to fix the problem of stressed assets. The problem then was the same as it is now - banks were loathe to take enormous haircuts when selling debt to ARCs. And any proceeding in the SARFAESI Act was bogged down by endless litigation. Also, until the RBI forced banks to take the Asset Quality Review, most banks were content to hide bad loans by giving fresh loans that would be used to pay the old ones. The debt kept getting rolled over but never repaid. The IBC has fixed many of the problems of the SARFAESI ACT but not all. It is a work in progress and the government has shown a willingness to introduce amendments as and when loopholes and problems have cropped up. From time to time, other solutions have been proposed even before Project Sashakt. One was creating a "Bad Bank" which would take over all the bad loans of various public sector banks and then focus on recovering money by fixing the assets or selling them. Luckily it was shot down. The problem with Project Sashakt is that it tries to create a structure that is unlikely to work. The Asset Management Company (AMC) it is proposing is unlikely to work because it is difficult for such a structure to either raise sufficient finances or manage stressed resources. As banks had found out under the old SDR scheme, it was relatively easy to take over a defaulting borrower but much more difficult to run it on a day to day basis or nurse it back to health. The AMC route, which is ostensibly to sort out the problem being faced by small and medium sized companies that have defaulted, only gives additional time before pushing for their bankruptcy. In essence, it increases the time limit of resolution further. The main problem that the government needs to recognize is that for a bad loan turns bad for multiple reasons. Sometimes the promoter is bad, sometimes the project is bad, and sometimes the economy turns bad - all of which can lead to bad loans individually and in combination. For a bad loan to find a buyer, it has to be cheap enough - which means the bank needs to take a haircut. It also has to be an intrinsically good asset selling at an attractive price. If the asset is not good, there will be no buyers - and no amount of restructuring or new ideas are likely to turn it around. The IBC is still the best way forward for the NPA problem because it puts up the asset for sale. If there are enough interested buyers, the lenders recover a lot of the money they lent. If there are no buyers, the asset needs to be liquidated and the assets written off. And it all has to be done within a fixed timeframe. Yes, that timeframe has often been breached - but that is because the law is still new and the NCLT judges and bidders are all feeling their way. It needs to be given time to settle down. And a year down the line, it will probably be a more robust law as the government takes into account the problems cropping up from time to time and makes amendments. Project Sashakt is not a way forward - even for the SMEs for whom it is ostensibly aimed at. RBI to issue new Rs 100 note with special Gujarat connection!